I'm working on compiling a list of cars that come stock with a suitable electric power steering pump. This list should help anyone who wants to save some money on their conversion know where to look or what to ask for when going to wrecking yards. Please add to this list! I guess you mean electric motor driving hydraulic pump and hydraulic servo. 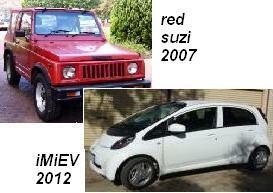 iMiEV is pure electric servo rack and pinion. There are presumably others. That may require a separate list ? BigMouse, some of those pumps have control electronics pretty much integral with the motor. There are only some such as the Toyota MR2 with motor and controls separate, where you can easily 'roll your own' control. Renard wrote: BigMouse, some of those pumps have control electronics pretty much integral with the motor. There are only some such as the Toyota MR2 with motor and controls separate, where you can easily 'roll your own' control. That's good to know. I've seen the Astra pump used in an EV (and hotrods). There's got to be a way to hack the other ones. The Mini Cooper one looks very compact and well packaged. I wonder how it's controlled. If it's CAN, it shouldn't be too difficult to trick. I also wonder about the possibility of retrofitting either an electric power steering rack, or an electric power steering column. I imagine either one would be more trouble than it's worth, and very tough to get past an engineer. acmotor wrote: I guess you mean electric motor driving hydraulic pump and hydraulic servo. The purpose of these lists is for people to go to wrecking yards and buy parts that can be easily retrofit in to their EV conversions. See my comment above about electric power steering. Is there a similar list of electric vacuum pumps available? I would be very interested in this list of electrically driven hydraulic power steering pumps. I have heard a few people mention them in passing. That for example the Astra unit just needs 12v. 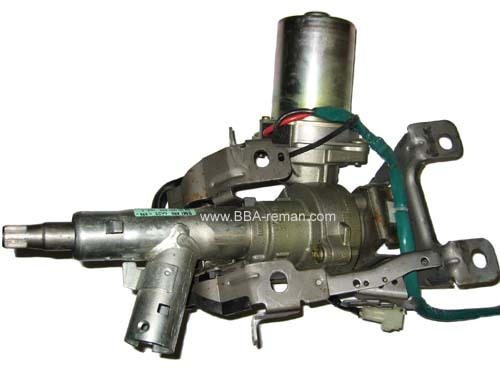 But there is more than one model of Astra power steering unit. Which one is best? Is that info even correct? Which units draw continuous high currents and which ones use low current except when steering assistance increases? Which ones are loud, which ones are quiet? It would be nice to get some information from EV'ers who have actually installed these units. And yes, i need to source one for my EV so would love to not have to buy several different types before stumbling on an acceptable one. Would like to get the best one first go. I bought an Astra pump from a "TS" model. It's the one with the "smooth" bottom on it. I think the other kind has heatsink fins on it. The connection for this one is two high power leads and a 3-pin connector. There's some info online about the pinout for the 3-pin connector, it's not hard to find. I've connected it and it just idles at low current when there's no load. It's nice and quiet even when turning the wheels. It runs on 12v. It was $55 at my local self-service wrecker. I pulled it myself and it was NOT an easy job. Luckily, the car I pulled it from already had the engine mostly removed so I could actually get at it. Don't forget to take the lines too. You'll need them for the fittings. That is exactly the info i needed. A picture to help get the right one, where to get it and how well it works. A friend of mine picked up a reasonably priced electric pump only to find out it required CAN bus input to work. He waisted hours trying to get it working, eventually going and buying another that was less complex. Just a word of warning to do some homework. Found a youtube video of what looks to be the same unit you are using. I suppose noisy is a relative term and hard to tell with no other sounds in the video to relate it to but i would have called it noisy. Just wanted to see what you thought, is your unit the same? Does that noise level match what you are getting. Mine isn't nearly as noisy as that. I haven't tried it with the wheels on the ground (it's up on stands at the moment) but turning the wheel against the steering lock has the same effect. I'll take a video once I get the 12v system hooked up. I'm currently working on the HV side of things and only hooked the pump up temporarily for testing. Next time you pull up next to a TS Astra, roll down your window and listen, especially if they're taking a turn. You won't hear the pump. I'm not sure how the one in the video is so loud, that would never fly in a production car. Perhaps they mounted it without the rubber standoffs. I used the stock mounting frame in my installation. I think you are correct, it looks like the unit is bolted directly to the panel. When i heard the youtube video for the first time i was thinking it was loud to start with then it just got louder and louder. Louder than any EV drive motor i have heard and it was just the power steering. Wasa talking to a mate today who works in the hot rod engineering field...he said he is doing a lot of electric columns for hot rods. Power unit from a Renault, he thought it might be a Clio. Control chip from the UK, $100. He fits them into HQ Holden columns for people to put in hot rods. Electromechanical power steering would be the way to if you can fit it on to the steering column. The problem I see with that is maintaining the safety features and passing engineering. The column needs to be able to collapse in an impact. You'd probably also have to do the retrofit without cutting or otherwise modifying the shaft, depending on the engineer. Steering is one of those things that you shouldn't really mess with. If an electric hydraulic pump fails, you still have a manual steering rack. If a modified steering column shears, jams, or seizes, you could lose control of the vehicle. It's probably easier to get away with installing this in a hot rod because cars from that era didn't have much safety considerations. It'd probably be a lot more difficult to make the modification in a late model car and get it past the engineer. Those are my assumptions at least. I certainly like the idea. My only complaint about electric steering columns is the servo sound they make when you turn quickly. This is a list of electric power steering units (column type) that are being used in the USA/Canada to either add power steering to a manual steering car or convert from hydraulic to electric power steering. One benefit is the ability to control assist level based on vehicle speed, I made a controller that does this so the steering feel is always "just right"
BigMouse wrote: Electromechanical power steering would be the way to if you can fit it on to the steering column. - If a failure were to occur, either the unit goes to minimal assist mode, or if the failure is more severe for example total loss of 12V, you simply loose the power assist function however you can continue steering as you did with manual steering. - This is a very inexpensive way to add power steering, some have done it for about $100, it cost me less than $200. Not sure if you're still around @BigMouse but I was wondering if you knew what the three wires from the power steering pump did. I figure the heavy duty wires are for powering the hydraulic pump, but the other three - are these to power an internal relay so it doesn't load the vehicle at start-up? I found a Commodore drifters page where they use these to prevent their PS pumps from blowing up at full lock and full revs. It looks like he only used one of the three leads; just a switched +12 volt supply. Thankyou Brendon. I bought the collection of power-steering pumps and all sorts of other gear from BigMouse when he sold up everything for his relocation to the US. I'm assuming the comms wire was to tell the computer to up the idle to compensate for the load if the steering was operated while the engine was at idle speed and causing an unexpected load on the alternator. I've never probed it to see what's on it, I just know that on the diagram it's a straight shot to the ecu but I had the same presumption you did and that it just notifies the ecu about the load. It may even just switch hard to ground under load like the load switch on most mechanical steering racks.